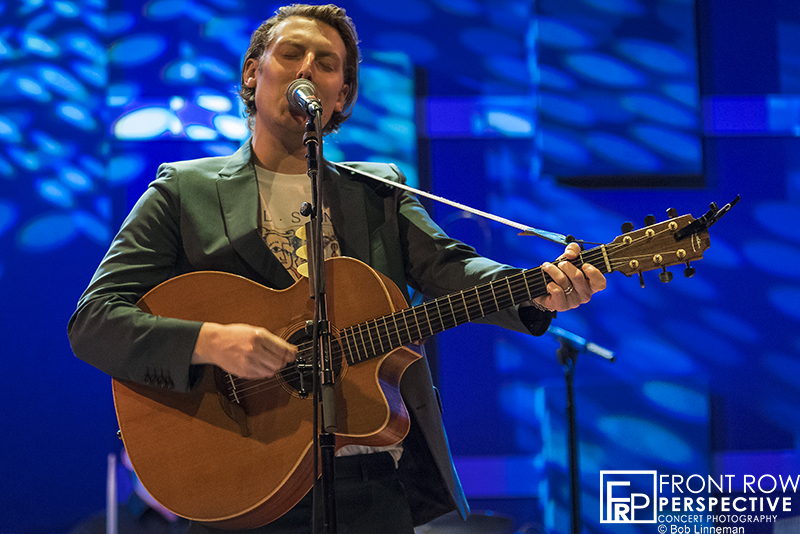 Eric Hutchinson performing at the World Cafe Live in Philadelphia. A perfect way to experience new material is when the artist decides to play the entire album in its entirety roughly a week after the release. 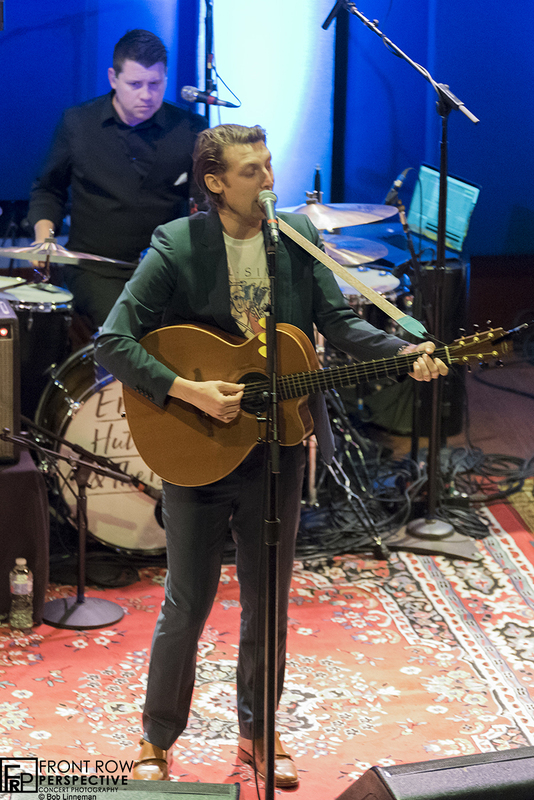 This is exactly what Eric Hutchinson and The Believers decided to do for the fans in Philadelphia. 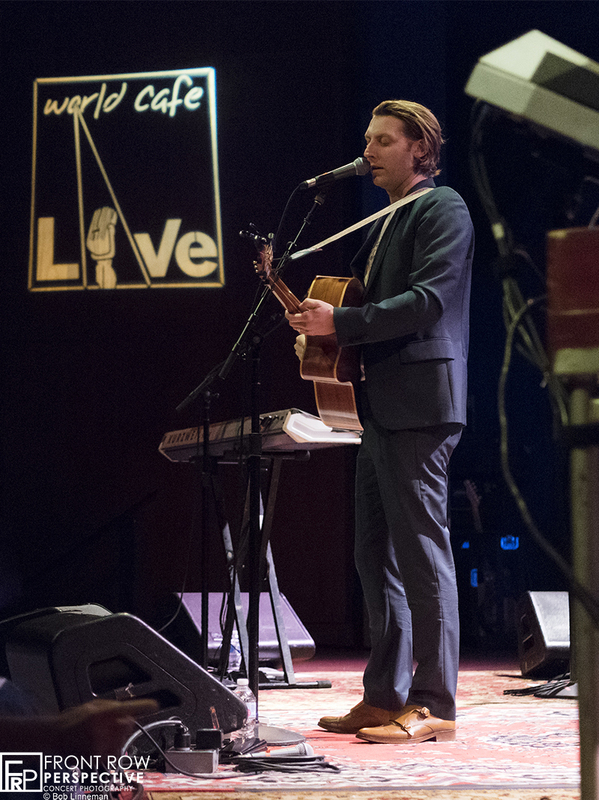 I could not think of a better venue for this to happen than the World Cafe Live, and intimate setting where there isn’t a bad seat (or floor) to hear Modern Happiness. 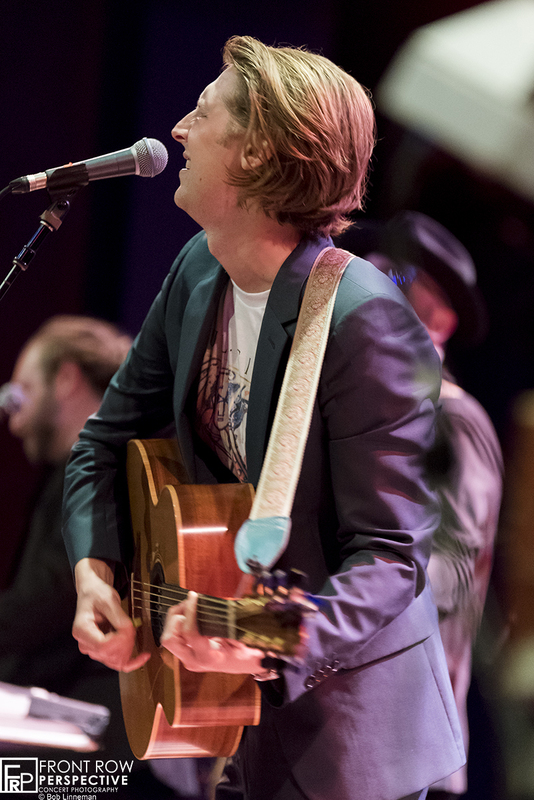 Eric announced that he would be playing the entire album and then the mega-hits to the delight of the crowd. Eric changed things up a little bring his studio band on tour with him, and you could see the fun everyone was having playing. The album is a fantastic blend of different styles of songs but blends very well within the entire album. In between the high energy songs like “She Could Be The One” to a flashback vibe on “I’ll Always Be The One To Make You Cry” Eric took a moment to explain the story behind his song called Hands, and the struggle his father has with Myotonic Muscular Dystrophy, and how his father gradually lost use of his hands. The crowd was very receptive to the new music, and by evening’s end everyone was sings the old favorites and had the place jumping. This leg of the tour continues through November hitting the Southwest before ending in Hawaii.